Search for the best flight prices from Manchester to Santa Clara. Compare prices, book today and save money with Manchester Airport. Genuinely historic and most famous for its role in the Cuban Revolution of the late 1950s, and the activities of one Ernesto “Che” Guevara. Elsewhere, this cultured and laid-back University town has much to offer those who venture in from the coasts, including wonderful period buildings and neat, pristine squares. Cuba's central region is home to the vibrant city of Santa Clara where the accommodation choices cater more for the mid-range and budget markets rather than luxury. Most of the hotels are casa particulares (small hotels based within the owner's home) allowing you a glimpse into Cuban culture. Hostal Amalia (61 Lorda) is one of the city's top picks for super service and traditional rooms; Hostal Autentica Pergola (61 Luis Estévez) is home to some of the best food in Cuba, as well as gorgeous rooms; while La Caridad (19 San Pablo) has a peaceful garden and friendly hosts. Santa Clara locals head to the pedestrian strip of Independencia Avenue (known as the Boulevard) to do their shopping. 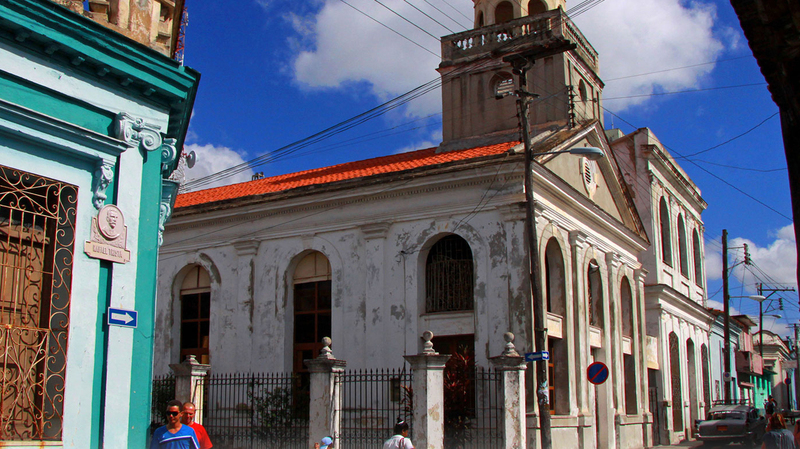 Head here to stroll, window shop and catch some Cuban culture. For the necessary cigar and rum purchases, the best place is Fábrica de Tabacos (181 Maceo) where you can tour the factory before buying your cigars. They sell a wide variety of good-value rum in their shop as well. For great local interaction, and fabulous photos, visit the vegetable market of Mercado Sandino (9 de Abril). Santa Clara is a great place to delve into Cuban cuisine. The food at the casa particulares is usually of such high quality that many visitors don't feel the need to venture out of their hotels, but if you do there are also a couple of great places beyond the guest houses. Both La Casona Guevara (160 Juan Bruno Zayas) and El Alba (26 Rolando Parlo) have top reputations for fresh and tasty local dishes. For a great Cuban night out, don't miss Club Mejunje (107 Marta Abreu) where you dance and drink inside a decaying and roofless building that's always packed with partying locals. Celebrating the success of the communist revolution, 1 January is a national holiday and like the rest of Cuba, Santa Clara sees this as a great excuse to party. There are events all over the town – some merging in with the previous night’s New Year's Eve celebrations. This festival takes place in honour of Manual Corona, one of Cuba's famous traditional musicians. Plenty of modern troubadours and famous Cuban musicians play gigs and concerts around town. This young rock festival hosts both local and international bands for a 10-day tour around the country that hits Santa Clara. It takes place twice a year – once in February (‘Brutal Winter Fest’) and once in August (‘Brutal Summer Fest’) – and is a great chance to see up-and-coming Cuban musicians as well as European bands. 1 May is a huge event across Cuba with workers celebrating the country's socialist stance with marches and processions. Although Havana holds the biggest marches, Santa Clara is also a top spot to witness it. Marking the beginning of Cuba's revolution with the unsuccessful storming of the Moncada Barracks, this national holiday is full of street parties and carnival action.